Outer Banks information comes in many forms, but there’s no better way to learn it than through conversations with a local. 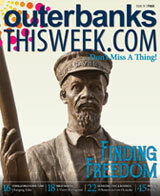 The OuterBanksThisWeek.com blog is that local friend…even if you already live here! 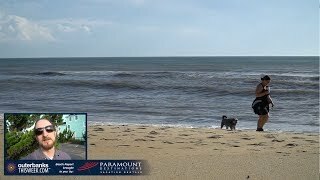 Every week, Hannah Lee Leidy gives the run down on Outer Banks activities, Outer Banks events, Outer Banks shopping – all the Outer Banks information needed to ensure that you have the best possible experience. And she does it in a conversational way that’s easy to read and entertaining. Outer Banks activities are numerous, and this blog gives you an insider’s scoop to help you plan your day. She leads you to all the Outer Banks events you won’t want to miss – sports, annual functions and holiday festivities. She gives you her input on the most exciting Outer Banks activities – the ones she loves, the ones she thinks you should love. If anything exciting or out-of-the-ordinary is happening during your visit – and there definitely will be something – this blog is your trusty guide to figuring out the whats, whens and wheres. Nightlife, for example, is detailed here – what band is playing where, which scene is wild, which is chill. Festivals are also described – the ones that are old and loved and the ones that are new and anticipated. The amount of Outer Banks information offered here will keep you busy and in the know. You can find out what would be fun for you, your family or even your pets. A fun touch of this blog is its conversational element. Hannah Lee always wants to hear from you! In fact, reader input can influence the basis of her next blog’s focus. So if there’s a topic or question you’re craving an answer for, let her know. Sit a spell and read through present and past OuterBanksThisWeek.com blogs. With all the Outer Banks information detailed for you, you’ll be the trusted source to all your friends!